Fish don’t have ears. They hear or feel vibrations along the lateral line of their bodies. 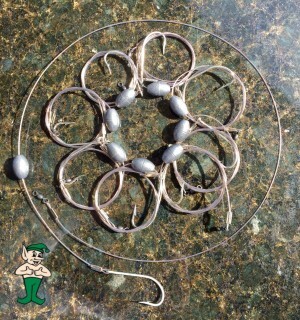 “Go To” 7 Strand Plastic Coated Stainless Steel Leader Wire rigged with my “Go To” Water Gremlin Egg Sinker’s. This set up is what I use 100% of the time when bottom fishing for Red Drum, Shark, Cobia, Jack Crevalle and lots more. 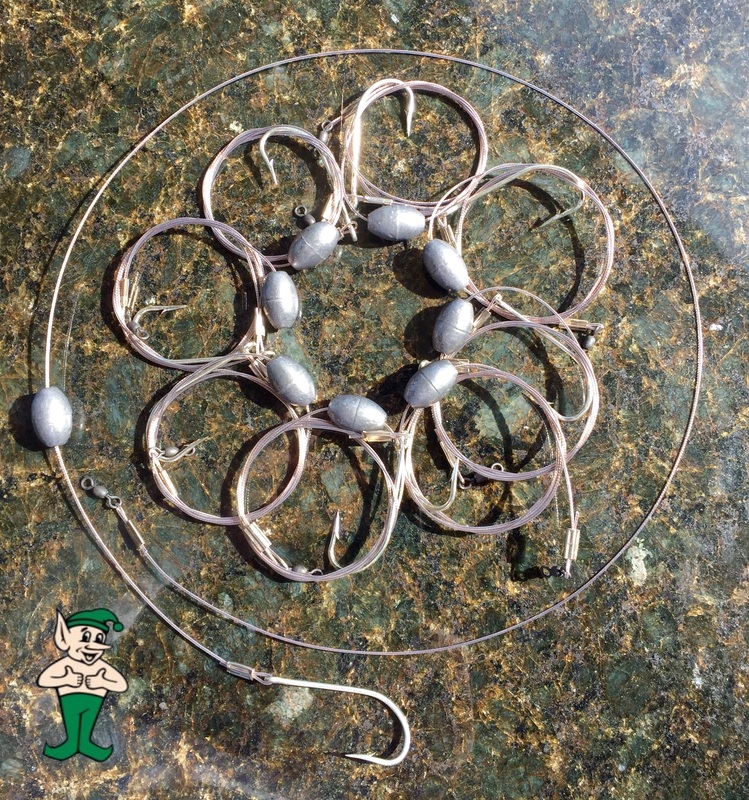 My baits of choice are live Croakers, Mullet, Whiting and Sand Trout. Each leader is approximate 3 ft. long.